FORT LAUDERDALE, FL--(Marketwired - June 07, 2017) - BBX Capital Corporation (OTCQX: BBXT) - June 7, 2017, - Bluegreen Corporation, ("Bluegreen Vacations" or "Bluegreen"), a wholly-owned subsidiary of BBX Capital Corporation, today announced that Alan B. Levan has been appointed Chairman of Bluegreen Corporation. Alan B. Levan serves as Chairman and CEO of BBX Capital Corporation, formally BFC Financial Corporation. He formerly served as Chairman of Bluegreen Corporation (formerly NYSE: BXG). 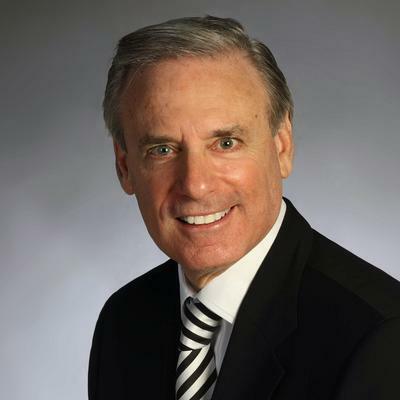 Throughout his career, spanning more than four decades, Mr. Levan has served as Chairman of four New York Stock Exchange listed companies and been a driving force in raising more than $2 billion in debt and equity. In 1971, at the age of 27, he founded IRE Financial, the predecessor to BBX Capital Corporation, formerly BFC Financial Corporation, and over the next ten years, raised hundreds of millions of dollars and built a national portfolio of real estate exceeding $1.5 billion in value. Mr. Levan spearheaded the acquisition and development of several master-planned communities including tens of thousands of square feet of commercial space, shopping centers and homes. After acquiring control of BankAtlantic in 1984, Mr. Levan built the company into a 100-branch, $6 billion Florida Banking franchise and later led its sale to BB&T. As a director of Benihana, Inc. (formerly listed on NASDAQ: BNHN), Mr. Levan managed the sale of the company. Benihana grew from $2.00 per share to a $16.30 per share acquisition deal price. Under his leadership, BBX Capital and BFC Financial have invested in and acquired businesses in banking, retail brokerage and investment banking, timeshare, real estate and other sectors. Mr. Levan is a member of the Nova Southeastern University (NSU) Board of Trustees, Chairman of the Finance Committee, and Co-Founder and Co-Chairman of the Susie and Alan B. Levan NSU Ambassadors Board. He is Founder and Chairman of the BBX Capital Foundation (formerly BankAtlantic Foundation), which has contributed over $15 million to the South Florida community and is one of Broward County's largest Habitat for Humanity supporters. He is currently a member of WPO, the successor organization of Young Presidents Organization (YPO). Mr. Levan has received Habitat for Humanity's Spirit of Humanity Award, NSU's Entrepreneurship Hall of Fame Award, Greater Miami Chamber of Commerce's Cutting Edge Award, Sun-Sentinel's Excalibur Business Leader of the Year Award, and Ernst & Young's Entrepreneur of the Year award for Florida. BBX Capital Corporation (OTCQX: BBXT; BBXTB), formerly BFC Financial Corporation, is a diversified holding company whose principal activities are its ownership of Bluegreen Corporation and, through its Real Estate and Middle Market Divisions, the acquisition, ownership and management of joint ventures and investments in real estate and real estate development projects and middle market operating businesses. Bluegreen, founded in 1966 and headquartered in Boca Raton, Florida, is a sales, marketing and management company, focused on the vacation ownership industry. Bluegreen manages, markets and sells the Bluegreen Vacation Club, a flexible, points-based, deeded vacation ownership plan with more than 200,000 owners, 66 owned or managed resorts, and access to more than 4,300 resorts worldwide. Bluegreen also offers a portfolio of comprehensive, fee-based resort management, financial services, and sales and marketing services, to or on behalf of third parties. As of March 31, 2017, BBX Capital had total consolidated assets of $1.4 billion, shareholders' equity of $477.9 million, and total equity of $521.6 million. This press release contains forward-looking statements that involve a number of risks and uncertainties. All opinions, forecasts, projections, future plans or other statements, other than statements of historical fact, are forward-looking statements. The forward looking statements in this press release are also forward-looking statements within the meaning of Section 27A of the Securities Act of 1933, as amended (the "Securities Act"), and Section 21E of the Securities Exchange Act of 1934, as amended (the "Exchange Act"), and involve substantial risks and uncertainties. We can give no assurance that such expectations will prove to be correct. Future results could differ materially as a result of a variety of risks and uncertainties, many of which are outside of the control of management. Past performance and perceived trends may not be indicative of future results and there is no assurance that Mr. Levan will achieve success at Bluegreen. In addition to the risks and factors identified above, reference is also made to other risks and factors detailed in reports filed by the Company with the Securities and Exchange Commission, which are available in the Company's Quarterly Report on Form 10-Q for the quarter ended March 31, 2017, and its Annual Report on Form 10-K for the year ended December 31, 2016, which may be viewed on the SEC's website, www.sec.gov, or on BBX Capital's website, www.BBXCapital.com. BBX Capital cautions that the foregoing factors are not exclusive.